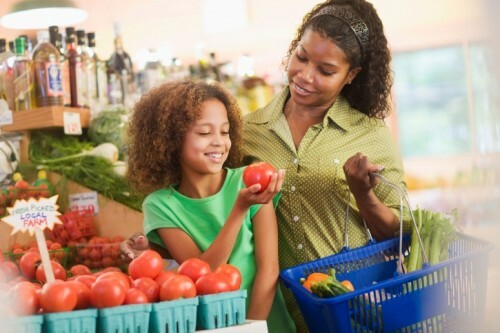 Buying food for your family can be difficult, especially with deceptive marketing and unclear food regulations. The Centers for Disease Control and Prevention (CDC) recently published a report that "pediatricians should advise parents to look carefully at labels when selecting commercial toddler foods and to limit salty snacks, sweet desserts, and juice drinks." The CDC points out that commercial toddler foods and infant or toddler snacks, desserts, and juice drinks are of potential concern due to sodium or sugar content. But it doesn't end with toddler foods. Food and drink companies are finding ways around the U.S. Food and Drug administration (FDA) regulations to mislead consumers into thinking their products are healthy. We highlight a few deceptive terms frequently used on food and drink labels that you should know about. The FDA currently has no definition for this claim. Foods and drinks that do not contain added color, artificial flavors or synthetic substances are allowed to write “All Natural” on their labels. This allows a lot of room for interpretation for the food companies. Beware of claims about reduced amounts of fat and sugar. According to the FDA definition for “reduced”, the item only needs to have 25 percent less of the claimed nutritional value than the original referenced item. Many times items that claim to be reduced are not necessarily healthier. Companies make up for ingredients taken out in other areas. For example, a reduced fat item might increase the amount of sugar in the product to keep the taste consumers prefer. Always check the nutrition label to see if the product is actually healthier. In the U.S., if a product contains less than 0.5 grams of trans-fat per serving it can be advertised with “Zero Trans Fat.” In this case, the nutrition label will often read 0 grams of trans fat. The problem is once you eat more than one serving the product no longer has zero trans-fat. Make sure to check the ingredients for hydrogenated oils which indicate trans fat in the product. There is a common misconception about the powers of the term organic. Organic refers to the way a product is produced. It has to be produced by an approved method sanctioned by the U.S. Department of Agriculture (USDA). People think buying organic is the key to weight loss, but buying organic items does not necessarily cut down the calories. Just remember to look at the nutrition and ingredients labels, even if the product is organic. Most people read this claim and picture chickens running free in an open farm pasture. This is not the case. The term cage-free only implies that each hen is not locked in an individual cage, but in an open barn. Many times these hens are never given outside access. Similarly, the USDA only regulates that a free-range hen must have access to outdoors. We spoke to Lisa Pegram, a registered dietitian at Cook Children’s, about how parents can decipher through marketing messages and know which foods are actually healthy. Pegram teaches her patients that “fresh is best.” The fresher the food, the more nutrients it will give you. Look for nutrient rich items in the grocery store. It is important to consume calories that give you nutrients which make you feel full. For example, eating a chocolate chip cookie gives you a lot of calories, but no nutritional benefits. It can leave you feeling hungry and unsatisfied. Pay attention to the order of ingredients listed on a label. The first few ingredients listed are the most used ingredients in the product. Pegram said that in most cases, the fewer ingredients, the better. The final thing to look at is the serving size because companies will often make it far less than a consumer would normally eat. Pegram warns that if you are going to eat double the serving size, you need to double the calories, fat, sugar, etc. Parents have the most influence over what their child eats on a daily basis. Make a commitment to learn about these deceptive marketing tactics used by food companies to trick consumers. You and your family will feel better and live a healthier lifestyle. For more information on food and drink regulations, visit the FDA and USDA websites at www.fda.gov and www.usda.gov. Through medical nutrition therapy, a Cook Children's pediatric dietitian can help prevent and manage diseases that affect your child's health, fitness and overall well-being. Cook Children's has registered dietitians and dietetic technicians on staff to help with your child's nutritional needs from birth all the way through the teen years.